The Lavender Room is named after our beautiful lavender garden. In season, you will find fresh lavender on your pillow, and for breakfast, our signature Fig & Lavender Preserves. 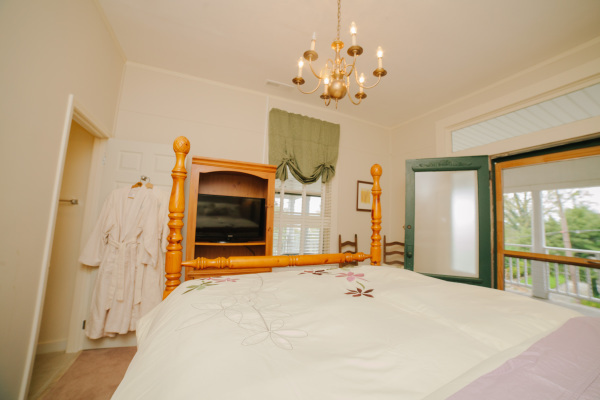 The room features a four-post queen bed with premium bedding, a large armoire with flat screen tv, and some vintage chairs. 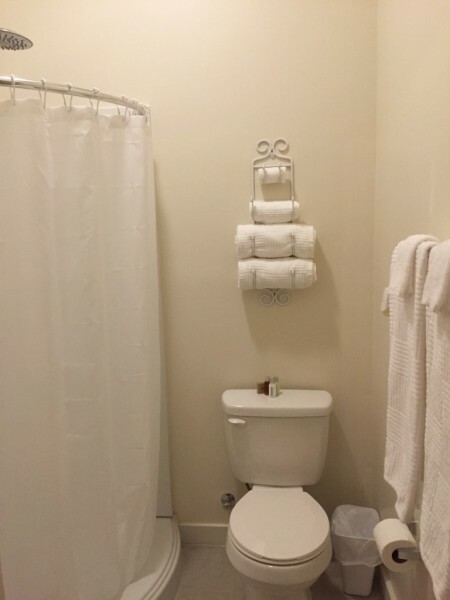 The bathroom features a curved shower and pedestal vanity. 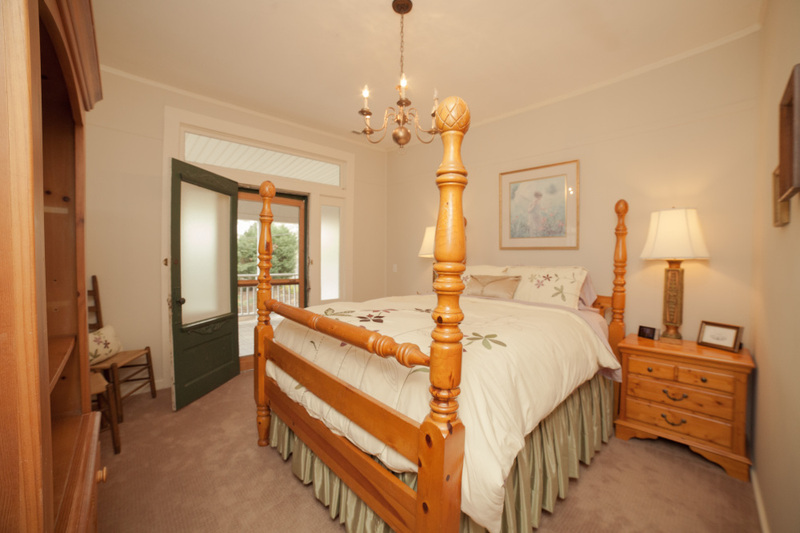 This room is on the second floor and has private porch access.